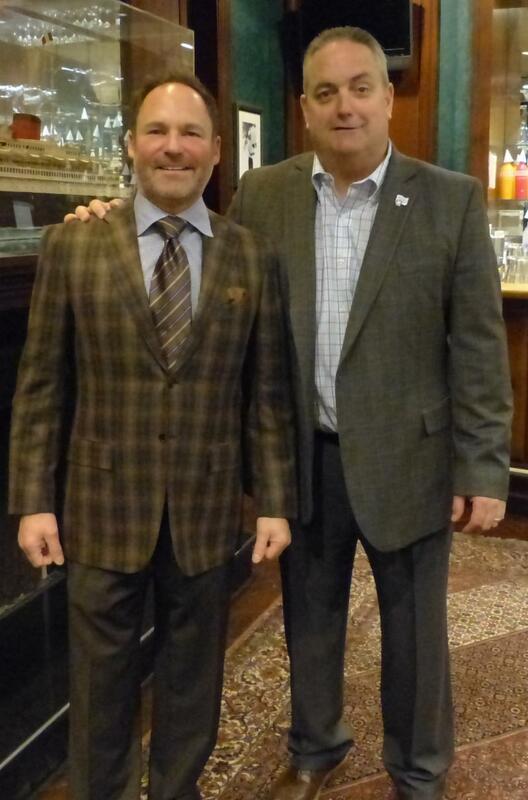 The Electrical Contractors' Association of City of Chicago (ECA) held its April Regular Membership Meeting on Wednesday, April 18, 2018 at the Clubhouse Restaurant, in Oak Brook, Illinois. As a reminder, the Electrical Contractors' Association of City of Chicago (ECA) upcoming Membership Meeting is being held the evening ofMay 9, 2018 at Gibsons Steakhouse in Rosemont, Illinois. 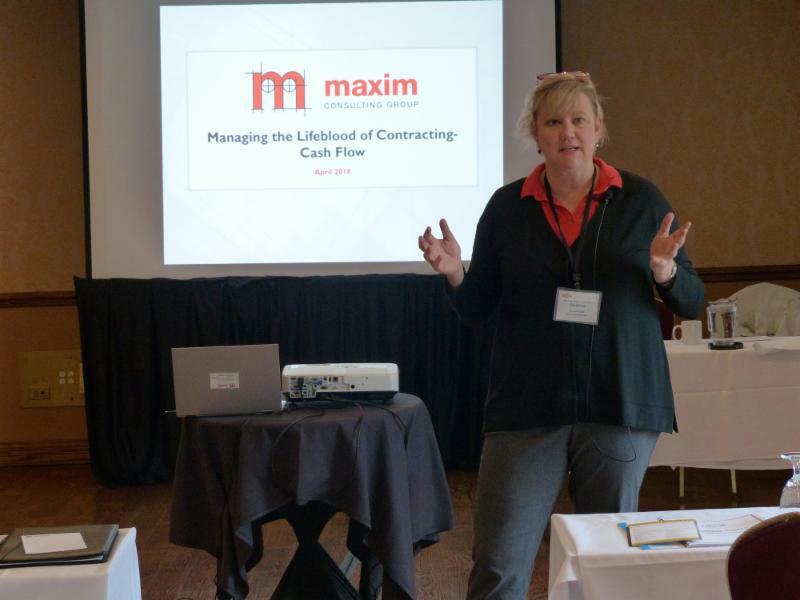 The ECA Research and Education Committee sponsored a seminar called, "Managing the Lifeblood of Contracting - Cash Flow" on April 18, 2018.
as she began the presentation. 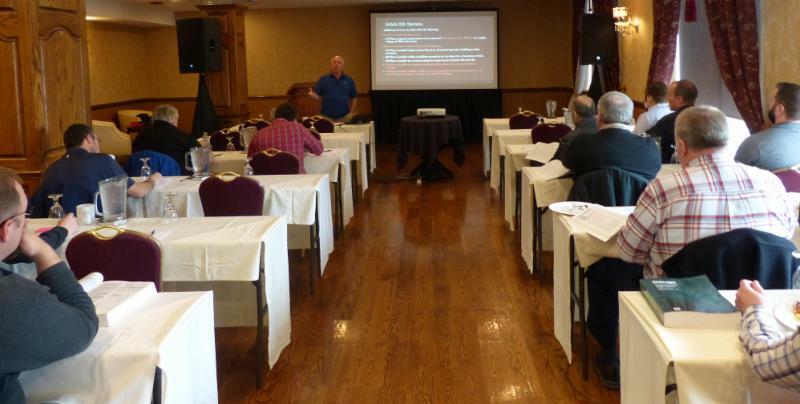 The ECA Research and Education Committee sponsored a seminar called, "Chicago Electric Code Review - Part Two" on April 23, 2018. Pictured above is Tim Arendt, Electrical Code Consulting Services, Inc.
As a reminder, the Electrical Contractors' Association of City of Chicago (ECA) 47th Annual Spring Conference will be held on June 6 - 7, 2018 at The American Club in Kohler, Wisconsin. May 1, 2018 is the Registration Deadline! 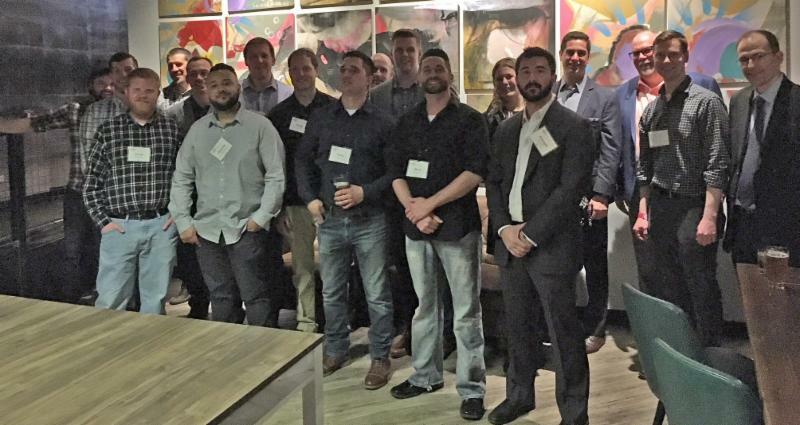 The Electrical Contractors' Association of City of Chicago (ECA) new Committee called, "Young Professionals" held its kick-off meeting on Thursday, April 26, 2018 at Spin Chicago, 344 N. State Street in Chicago. Pictured above are the attendees at the Young Professionals event. 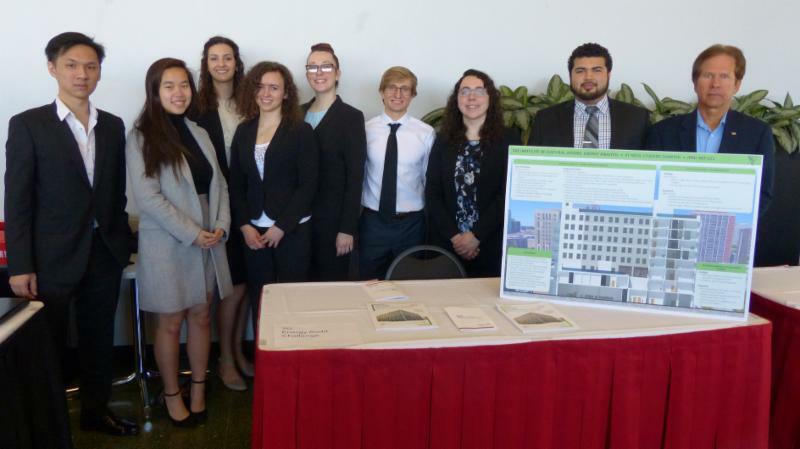 Pictured above are a number of the NECA IIT Student Chapter members presenting at the IIT IPRO Competition. 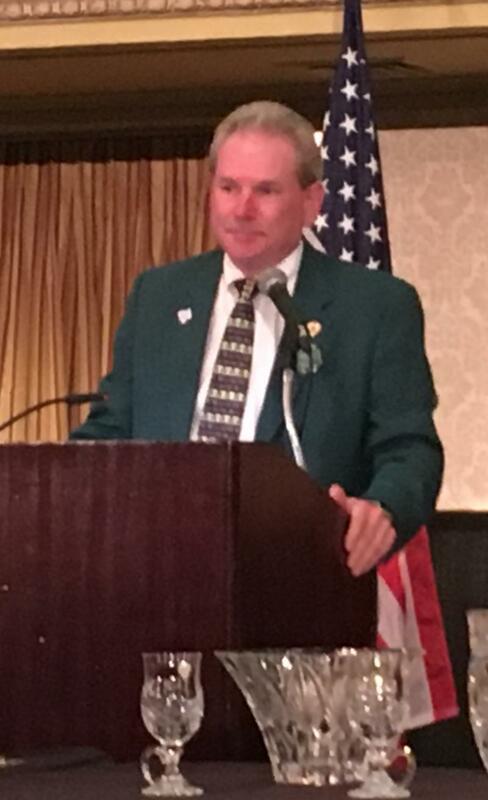 The Paddy's Day Luncheon held on Friday, March 16, 2018 featured a number of industry accolades. 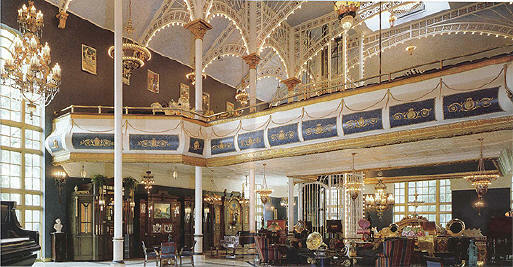 Please click on the link below for more information on this festive event. 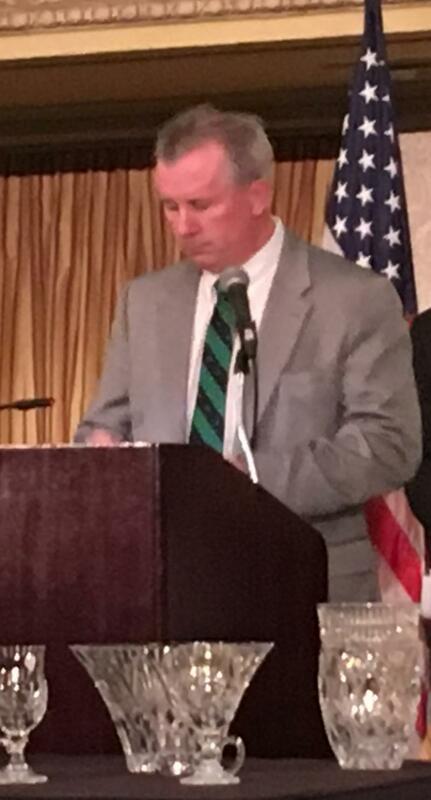 Pictured above is Dan Fitzgibbons, Gibson Electric & Technology Solutions. He wasbe the Big Shillelagh for 2017. Pictured above is Stefan Lopata, Kelso-Burnett Co. He will be the Big Shillelagh for 2019. 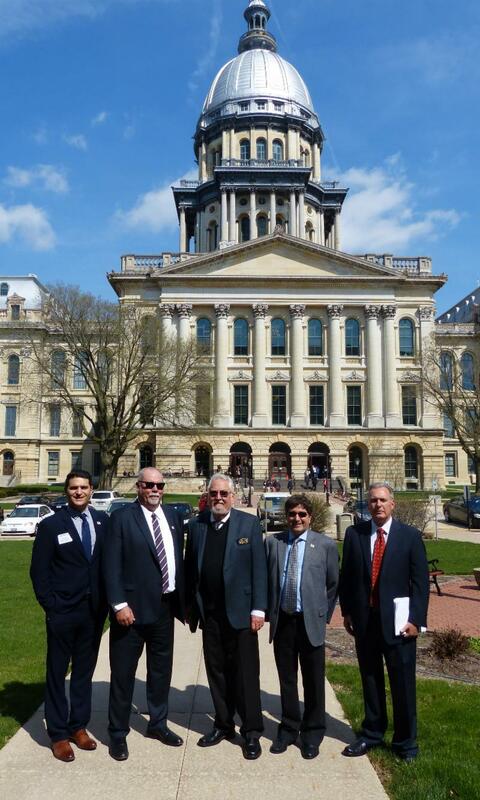 The Illinois Mechanical and Specialty Contractors Association held its Lobby Day on April 24, 2018 in Springfield, Illinois. The Illinois Mechanical and Specialty Contractors Association (IMSCA) is currently holding a special raffle for its 2018 PAC fund fundraising activity. 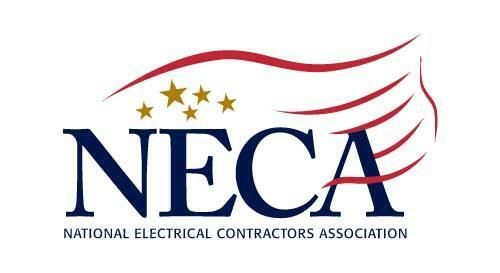 The National Electrical Contractors Association (NECA) announced the release of its Vision 2020 Task Forcefinal report. The task force, initiated by former NECA President David Hardt, identifiedcoming opportunities and challenges critical to the association's success and establisheda roadmap to position NECA to best serve and support their members' future success. PLEASE CLICK HERE FOR REPORT. 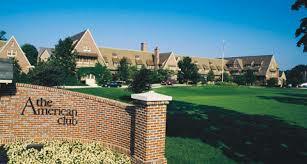 PLEASE CLICK HERE FOR BRIEF VIDEO REPORT. The NECA Midwest Regional Conference scheduled for April 8 - 11, 2018 at the Amelia Island Plantation Resort in Amelia Island, Florida had 28 Chapter registrants.The Chicago & Cook County Chapter received the NECA Vision Statement. Steve Krieg, NECA Midwest Region Director. The NECA 2018 Convention will be held in historic Philadelphia! We hope that you will join us in the "City of Brotherly Love" to experience the numerous educational and business programs, learn about the newest updates in technology. We hope that you will visit the many sites in Philadelphia, including the Liberty Bell, Independence Hall (where the Declaration of Independence and Constitution were signed), the iconic "Rocky" steps at the Philadelphia Museum of Art, among many others. The event is being held September 29 - October 2, 2018. Registration will open on May 31, 2018! 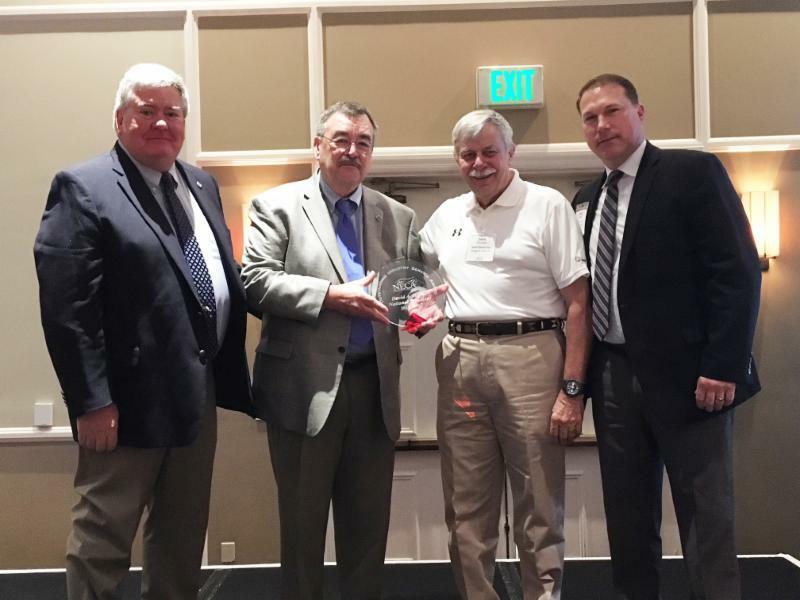 NECA's Recognition of Safety Achievement program is anelite safety recognition focused on recognizing thrivingcompanies that excel in multiple areas of their safety and health programs. Awards are given to member companies that consistently haveOSHA recordable injury and fatality rates at levels lower than the industry standard, and implement internal company safety practices above and beyond basic compliance. TheZero-Injury Awardrecognizes those member-companies that have worked a full calendar year without recordable incidents.TheSafety Excellence Awardis the associations premier recognition program, and acknowledges member-contractors safety performance. The Chicago and Cook County Chapter member firms who are the recipients of the NECA 2018 Zero-Injury Award, include the following: McWilliams Electric Company, Inc., Nesko Electric Company, Linear Electric, Inc.; and the Chapter members who are the recipients of the NECA 2018 Achievement in Safety Excellence Award, include the following: McWilliams Electric Company, Inc., Nesko Electric Company, Linear Electric, Inc., John Burns Construction Company and Kelso-Burnett Co. Congratulations, award winners! For a listing of coursework available through the Construction Safety Council (CSC) for the month of May 2018, please click on the link: www.buildsafe.org.